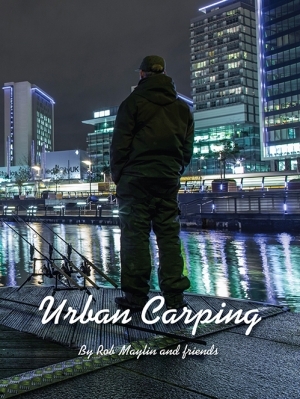 Canal carping has become one of the fastest growing areas of carp fishing in recent years in the UK, not that there's anything new in carp fishing canals, as this book will soon prove. Some carp anglers have been fishing canals almost exclusively for decades, and of course canal carping in countries like Holland and Belgium is commonplace. In fact many European anglers from England and further afield travel to these two countries in search of the huge specimens that inhabit them. 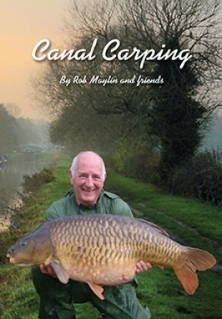 This book focuses on English canal carp angling with just a couple of examples of what is available if you wish to travel. Canal carping is, as you would expect, a little different to still water or river carping in that these vast waterways can stretch for miles, some stretches separated by locks that somehow even the carp manage to transverse. Therefore I thought it important to have a technical 'how to do it' chapter with all the latest techniques including underwater cameras and long-range baiting spoons. I chose Danny Champion, who appears later in this book with his Basingstoke record capture on that stretch of the Grand Union Canal. In this you will find location, watercraft, tackle, tactics and techniques in great detail and with superb photography. We are very fortunate to have articles featuring no less than four canal records, topped by a fantastic life history by BCSG member Bill Phillips, whose 47lb fully scaled mirror is the largest UK canal carp we have on record. It’s hardly surprising that canal carping has become one of the fastest growing areas of carp fishing when you see the size of some of the carp swimming in our canal systems. Not only that, but since many of these canal fish are escapees from the many still waters that line the banks of our canals, the variety of strains is incredible. They include anything from brightly coloured Koi carp carelessly dropped into the canal when they got too big for the aquarium or garden pond they were in, to ghost carp, big leathery battle-scared warriors, long linear type Leneys from the Colne valley to huge fully scaled mirrors nearing fifty pounds. I have never seen a proper book devoted to canal carping, so as part of our 'Off The Beaten Track' series, I decided it was about time I rectified this. Canal carpers Dan Cleary, Ken South, Matt Lee, Jade Martin, Nick Mays, Neil Horton, Josh Myatt, Keith Williams, James Willets, Liam Webster, Liam Chapman, Dan Sibley, Luke Sparkes and many others all contribute their own personal accounts on our British canal systems including The Royal Military Canal, The Chelmer and Blackwater Canal, North West Canal, Grantham Lincolnshire Canal, Staffs Canal, The Trent and Mersey Canal, The Worcester Canal, The Walsall Canal, Nottingham Canal, Stainforth and Keadby, Cheshire Canal, The Dudley Canal, The South Holland Main Drain, The Wryley and Essington Canal and of course the Grand Union. A huge variety of canals with one common denominator – dedicated canal carpers!